At the UFC Fortaleza weigh-ins, all 26 fighters taking part in Saturday night’s UFC Fortaleza fights will step on the scale Friday. 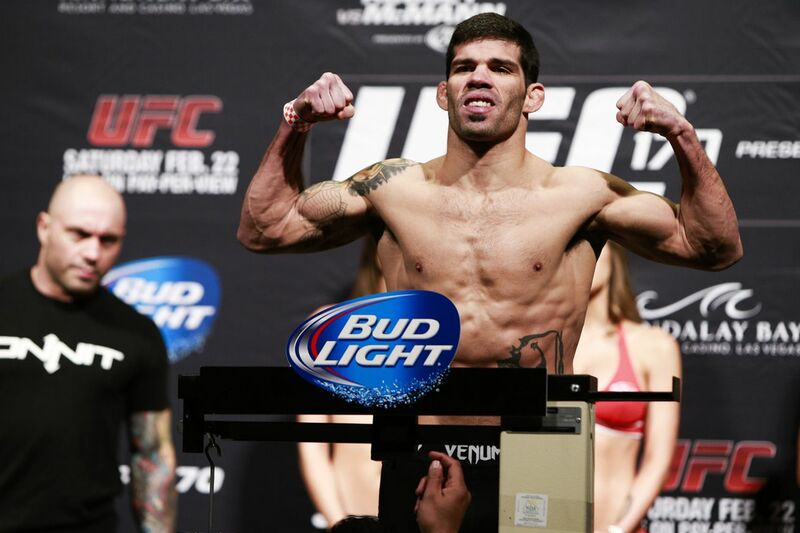 In the main event, Raphael Assuncao and Marlon Moraes will have to make the bantamweight limit of 135 pounds. The UFC Fortaleza official weigh-in video will be at 7 a.m. ET, and MMA Fighting will carry it live. The UFC Fortaleza ceremonial weigh-in video will be at 4 p.m. ET. Check out the UFC Fortaleza weigh-in results below. *Sarah Frota missed the strawweight limit by seven pounds. She will forfeit 40 percent of her purse to Livia Renata Souza and their bout will proceed as scheduled. **Magomed Bibulatov missed the flyweight limit by one pound. He was not granted extra time to make the weight. He will forfeit 20 percent of his purse to Rogerio Bontorin and their bout will proceed as scheduled.